If you are noticing a big game fish theme these past few weeks, it’s partially because we are coming towards the end of swordfish season. 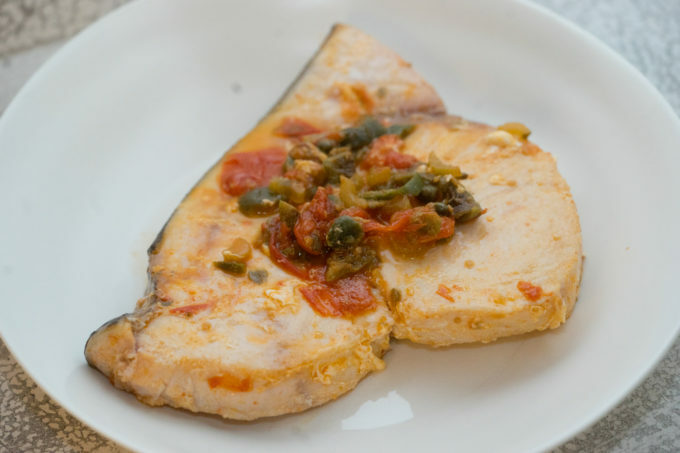 Swordfish are a majestic species of fish which play an important role in the cuisines of Sicily and Calabria where they are historically fished. It is highly prized for its meaty texture and delicate flavour, rendering its preparation quick and easy. Swordfish are a trophy fish which are easily identifiable by a long, sword-like pointed nose. They were traditionally fished by boat with a lookout on a 20 meter high post. 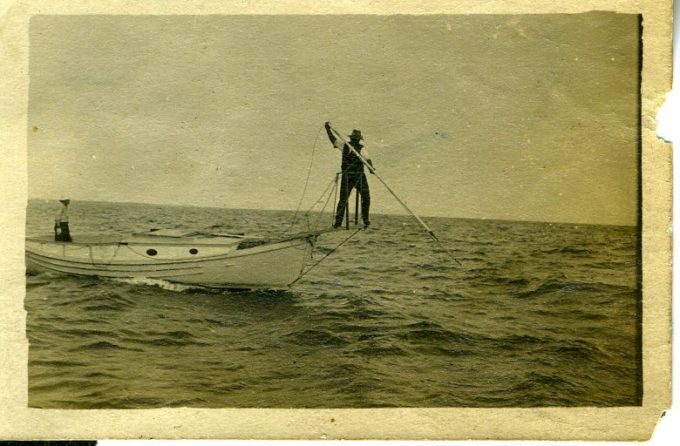 The fishermen then use a bow with a long harpoon (fiocina) with a forked point with which to spear the fish. 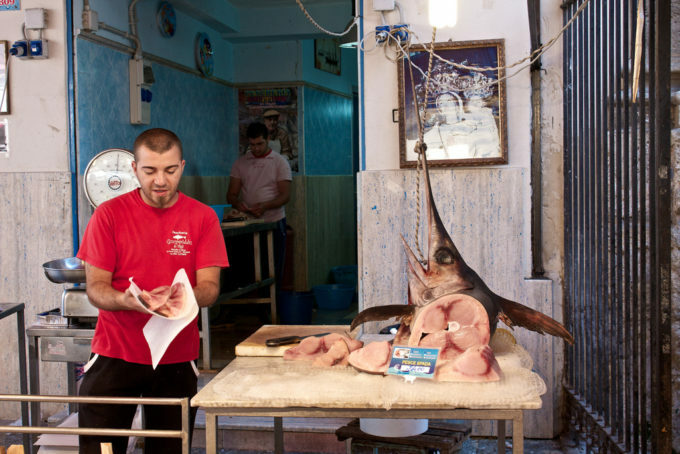 It is said that the Calabrian and Sicilian fishermen believed that the sound of Italian dialects would scare the swordfish so to communicate they used signals and and commands from conventional phrases in the Greek language. Today due to overfishing, swordfish are reducing in numbers. If swordfish is not available or you prefer to use something more sustainable, try monkfish. The taste is different but they share a meaty texture and a delicate flavour. Heat a frying pan over medium heat. Add the olive oil and swirl around the pan. Mix together the capers, olives, celery, vinegar and tomatoes in a bowl. Add the mixture to a frying pan and fry for 2 minutes. Add 60 mls of water (1/4 cup) to the pan and cook for 30 minutes, topping up the water as needed. Taste to see if salt is needed. Add the swordfish to the mixture and cook for 5 minutes (depending on the thickness of the cut). Flip over and cook for another 5 minutes until cooked through. Be careful not to let the fat escape as the swordfish will dry out. Serve the swordfish with the sauce on top.